We live in precious times. A lot of darkness is coming to light for us to look at and become conscious of. The brutal attacks on Gaza, where people are trapped with no way out, ask us to listen to our conscience and empathy and act on it. People are protesting world-wide. The death toll of Palestinian civilians, women, and children keeps rising by the day. It is good to see how many people start to speak out and protest, but keep in mind that this has been going on for 50+ years. It is systematic ethnic cleansing that has nothing to do with self-defense. This is not a war. It is slaughter by one of the most modern military in the world, financed with American tax money. I’ve seen some people expressing how sad, angry, shocked, and powerless they feel. Please keep in mind that we are NOT powerless. Feeling anger, sadness and being disturbed is a natural reaction for any human being with conscience who sees what’s going on. Using it constructively, it gives us the energy to seek truth, educate ourselves, work on ourselves, gain knowledge, act on our conscience and speak out. The more we engage in that, others may be encouraged to do it as well, because most often people don’t do something until someone leads by example. Others, who are too plugged into the Matrix simply ignore it or may attack you for it, but that’s how the Matrix works and tries to keep itself in place. Don’t get discouraged. The more we raise awareness, make the darkness conscious and separate truth from lies, within and without, the more we align ourselves with the creative principle of the universe, bringing order to chaos. This is not easy work and it takes effort but it is the first step towards positive lasting change and what “conscious evolution” implies. It’s what we signed up for too. Listen to your conscience as an aware human being and make a stand for truth, love, and justice. More is at stake here, not just the lives of Palestinians. It affects all of us in ways most of us are not aware of. Many people ask what they can do to help the situation. More important than signing petitions (which is fine and good) to help stop the humanitarian crisis in Gaza, we need to understand what and why it is actually happening, the historical context which goes back to WW I (and further than that), questioning official history (the fact that it is illegal to question some aspects of WW II should be a huge red flag to begin with and should make us question it even more), learning about Zionism, Psychopathy and Political Ponerology. Appealing to government (especially the US who gives billions of dollars yearly to Israel), world leaders, and the UN alone is useless in the long run for they are under the influence and grip of Zionist forces. For example, the U.S. Senate voted Thursday night to support Israel’s ongoing invasion of the Gaza Strip. No dissenting vote was cast, and no mention was made of the hundreds of Palestinian civilians, most of whom are women and children, that have been killed by Israel in the past ten days. Read the original S.Res.498 resolution here. This crisis is bigger than most people seem to be aware of but it is a chance to take down the world-wide Zionist control. It is a slim chance (I don’t hold my breath that it is actually going to happen) and won’t happen over night, but it is a step into the right direction if we educate ourselves about the truth and speak out about it. The Zionist thought police or people heavily conditioned with the lies of official culture/history may call you an “anti-Semite”, “Jew hater”, “revisionist”, “Nazi”, “conspiracy theorist”, or other ad hominem attacks (all of which I’ve been called with hints at my German heritage and name, claiming that I have “psychological disposition”) but it has nothing to do with the facts and truth. Speaking out about Zionism and questioning official history has nothing to do with “hating” Jews nor are all Jews bad. In fact many Jews speak out about it as well. Some of my dearest friends are Jews who also speak out about Zionism and the lies of history. Much research around these topics has been done by Jews to begin with. I encourage everyone to do your best to spread awareness about the truth of what is really going on via social media. This is the least we can do right now. Educate yourself about the true history of Zionism and this conflict as well as about psychopathy and political ponerology and then do your best to educate others and speak out about it. Don’t be afraid to speak out or worry about what others think of you. You may get attacked, shamed, and ridiculed, but this is nothing compared to what the Palestinians are dealing with right now and have for the past 50+ years. Do keep that in mind. Let your conscience be your guide, not fear, or misplaced political or spiritual “correctness”. This IS about choosing sides and not standing on the side lines or on the fence. The more people speak out and act on their conscience the better for all of us. One thing I hear a lot or see on facebook posts is how so many people talk about a “balanced” view on this Israel-Palestine conflict, claiming that both sides have equal fault and both need to make equal effort and compromises so they can all “just get along” and have “peace” (spiritual bypassing). This is a reflection of not understanding the true history about this conflict nor understanding the true history of Zionism. The Zionist Israeli government has a very different understanding of what needs to be done for “peace” than most people seem to be aware if. That is the result of western propaganda (influenced by racist Zionist ideologies) which we also see reflected in the media and educational system which teaches distorted history . It is very important for anyone to understand who argues for a “balanced” view that in this case there is no balanced view where both sides supposedly have equal fault. It’s about truth and facts and not falling into the “middle ground” fallacy: “You claimed that a compromise, or middle point, between two extremes must be the truth. Sometimes a thing is simply untrue and a compromise of it is also untrue. Half way between truth and a lie, is still a lie.” It’s also the fallacy of putting ones logic (conclusions) before grammar (research). Then there is of course the fear of many people to speak out against Israel, because of what others may think of them, afraid of being called an anti-Semite. This is how the people police themselves, being conditioned with lies and propaganda. Most people parrot a very distorted view of reality and history or refrain from “choosing sides” and justify it as taking the “high road”, or as a sign of “spirituality” and “compassion”. But essentially they are lying to themselves unconsciously, not aware of the conditioned corrupted view of history and reality they have taken on, essentially supporting the lies and ongoing ethnic cleansing in Palestine. Many people still seem to be reluctant to speak up and are afraid that it may affect their image/social status, career, bank account and anything else they’re invested in (Peer pressure, what will my friends, neighbors, co-workers think?, etc. ), hence, they rather defend/ignore the lies, atrocities, and the lies they tell themselves in order to self-calm (bypassing), consciously or unconsciously. To those I ask: What is your life, career and image really worth if you can’t even speak the truth or be yourself? What will you tell your children when they ask you what side of history were you on and what did you do and stand for? Most people know deep inside what is wrong with our world. In this age of information you have to be completely disassociated and numb not to see the pathology of our society and the crimes and atrocities committed by governments. When we look away and don’t act on our conscience to speak out we unconsciously feel guilty about not doing so. This suppressed guilt increases the collective shadow and we become complicit just like bystanders watching a crime unfold and not doing anything about it. We lose our integrity when we don’t feel for another and act on our conscience. We then get stuck in an ego-centric existence where we only care for ourselves, buying into the illusion of the ego that we are separate from the greater body politic and nothing affects us as long as we stay “positive”. Spiritual practices and over-simplified absolute truths are often times used to buffer up this unconscious guilt of not acting on our conscience and we feed our spiritually masked-up narcissism all the while lying to ourselves that we are awake and conscious. It’s easy to rationalize away our guilt/remorse which cuts us off from emotions in general and ultimately our conscience. It is no surprise that psychopaths never feel any guilt/remorse at all since they also lack conscience. Of course there is also the flip-side if we get stuck in these emotions, beating ourselves up when our wounds from the past are triggered and engaging in mechanical suffering. Many of us have taken on shame and guilt from our upbringing when our care-takers or friends projected their own shadow into us and shamed us for who we truly are. However, feeling guilty about things we have done or said (or didn’t stand up for) which we knew deep down inside of us were wrong and not aligned with who we truly are is our access and compass towards compassion, empathy, and conscience. Guilt and anger are closely related. Consciously experiencing and feeling our guilt and shame can bring up anger. This is healthy anger that needs to come out and relates to our conscience coming through, using it as powerful force to stand in our integrity and act on it. Some of this anger may be related to our past which we haven’t full acknowledge and worked through yet because it was buried behind guilt and shame when we even felt guilty about feeling angry and judged ourselves for it or others have judged us for being angry. Not feeling any anger when looking at the pathology of society and the atrocities in the world is also a sign of numbness and dissociating. Many well-intentioned spiritual practitioners suppress it because it is seen as “unspiritual” and so they side-step these “negative” emotions trying to reach something “higher” without integrating emotions consciously they don’t feel comfortable with, falling into the trap of the “make nice” program where niceness is mistaken as a sign of spiritual awareness. This also relates to cognitive dissonance when people reject information because it makes them uncomfortable. Feeling our collective guilt and emerging righteous anger in a full-embodied way and use this energy constructively to act on our conscience is part of the work towards wholeness and making this world a better place. If we don’t, we only fuel “evil” in the world as our personal and collective shadow grows bigger and stronger. “To the extent that we are unwilling and/or unable to consciously experience our feelings of guilt, we are guilty of unconsciously enacting something to feel guilty about. Like Shakespeare’s Macbeth, in order to live with this guilt we are compelled to repeat the very thing about which we feel guilty, increasing its scope each time, as if this would magically undo the original error. This process continues until we are no longer troubled by it consciously, which is to say the guilt is then sealed away in the crypt of our deepest unconscious and we have become psychically deadened to feeling…. When we consciously experience our “feelings” of guilt in a real, “full-bodied way” (compared to an “intellectual” way, in I which we only experience the “idea” of our guilt), the underlying guilt, as if released from being stuck in a frozen block of ice, begins to melt, move, and transform…. To the extent that we’re not awake, we are all complicit in what is being dreamed up in our world, which is to say we all share a collective guilt. Paradoxically, the tragic fate of consciously experiencing our guilt, shame and sin, and thereby experiencing a genuinely remorseful conscience, introduces us to the part of ourselves that is innocent. We have to feel our guilt as our possession before we can offer it; we can’t surrender if there’s nothing to let go of. There is also this contrived “niceness” in certain “conscious movements”, where people don’t want to say anything “negative” in their subjective understanding of it of course. In general, some folks hide behind a social etiquette and mask without wanting to say anything “bad” or touching on any taboo subjects. They speak around issues in order to be spiritually or politically “correct” so as to not step on anyone’s toes or to protect their social image, being concerned about how others may think of them. Some time ago I was at a yoga class and the teacher finished the class with a prayer in which she also said: “Let’s be conscious of what we say, and if we don’t have anything nice to say, it’s better to be silent”. That is a good example of the distortion of “being conscious/aware” and relates to the fact why more spiritual-minded people don’t look at the world more objectively, speaking out and standing up against the lies and psychopathic ways of our culture. Because it’s not “nice” to state that Israel is committing genocide in Gaza based on the racist ideology of Zionism. It’s not “nice” to say that Obama is a pathological liar and that the US is controlled by Zionist forces. It’s not “nice” to point out that about 8% of humanity have no conscience by birth and are mostly found in positions of power. It’s not “nice” to claim that the official 9/11 story is a blatant lie. Not only is it not nice, it’s also being “negative” or it is “conspiracy nonsense” according to some people’s convoluted perception who never researched these topics in-depth, hence one should not say anything at all. This attitude of contrived “niceness” essentially creates the conditions for conformity, complacency, authoritarian followers, ignorance, the atrophy of critical thinking, and only fuels the oppression and atrocities we see in Gaza right now and in the world at large. This doesn’t mean that one should be mean, aggressive and rude or push information on someone who didn’t ask for it. It simply means to be sincere and honest with conscience and awareness. There is a time to speak up and a time to be silent. And sometimes you have to be direct, call a spade a spade and give the lie what it deserves: the truth, regardless of what others may think, even if it doesn’t sound “nice” and it doesn’t conform to what someone “likes” to hear. You can be considerate and still speak the truth, even if others see it as “negative” from their conditioned point of view. Like in Plato’s allegory of the cave most people are distracted by the shadows on the wall, mesmerized and hypnotized, taking reality for illusion and illusion for reality. Many defenses usually come up when someone can see the deception and points to the exit of the cave, trying to show us that we are distracted by illusion. It’s where psychology and mind control come in, for the mind controlled victims (as is most of society) don’t know that they are mind-controlled and hypnotized. You can present endless facts and information to them but they will deny it and not able to SEE it, no matter how others point it out and ring the alarm clock. They may even attack, ridicule, and shame you for daring to question their limited reality box. Looking at the world as it is and facing objective reality that goes contrary to our ingrained beliefs can literally cause physical discomfort. There are various unconscious psychological mechanisms that keep us in a hypnotized state because truth and objective reality is too much to handle. The most common one is cognitive dissonance. Most of us seek consistency in our beliefs and perceptions. When presented with facts or information that contradicts our long-held beliefs which we are identified with, meaning they make up part of who we think we are and we have based our behavior and life-view on these belief, it can create physical discomfort in our bodies. This results in rejecting information because of the emotional trigger we experience and has nothing to do with if the information we are presented with is true or not. It’s a mechanical and unconscious reaction which shuts down our ability to reason and think clearly when confronted with information that conflicts with our beliefs. The more we are identified with beliefs the more discomfort we experience when they are being challenged. In the extreme case, a person suffering from cognitive dissonance will verbally or physically attack the other person who is challenging his/her beliefs. Rational discussion based on the information at hand is impossible if we don’t check ourselves how cognitive dissonance keeps us from staying objective. Having said all that, readers of my blog know that the rabbit hole goes deeper beyond Zionism or any -ism, national or religious identification. The work is also to be done within and without. However, we can’t skip steps or try reaching something “higher” without understanding the basics of our true history and make a stand for truth, justice, and love in practical ways and in the true meaning of those words, learning our personal and collective lesson. Just like in school, we don’t get to move on until our lessons are learned. So the first step would be to educate ourselves about the truth, deprogram ourselves from the lies we have believed in and then spread the word and help educate others. In addition to the videos posted above, below is a list articles and videos to check out. I also recommend reading “History, Lies, and the Importance of Critical Thinking and Self-work” before getting into the listed material. Out of my own experience learning about all this, having dealt with cognitive dissonance myself, de-programing myself from the lies of official history, I know how hard it is to take in this information. It can be emotionally challenging and very triggering. Please do your best to read/watch all of it presented here (including the resources within the videos and links) before coming to conclusions or dismissing something before having looked deeper into it. It took me along time researching this topic before writing this article. Before even having an intelligent discussion about “solutions” in this Israel-Palestine conflict we need to understand the historical and present facts and how we have been conditioned with lies and propaganda. 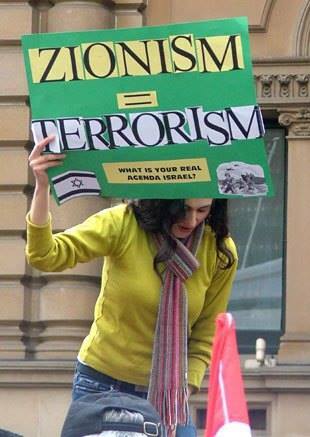 There is no way to bypass the topic of Zionism, WW I and WW II if one is sincerely interested in truth and a solution. A little history primer to start with. I see a lot of people comparing Israel to Nazi Germany. All fine and good to an extent. However, do most people actually know the true history of WW I and WW II and how it relates to the current conflict in Palestine or are they just repeating the official version (distorted by the Zionists, ironically)? Context is important without generalizing. For example, have you ever heard of “The Balfour Declaration” and this speech by Benjamin H. Freedman from 1961? Born in 1890, Freedman was a successful Jewish businessman of New York City. He broke with organized Jewry after the Judeo-Communist victory of 1945, and spent the remainder of his life and the great preponderance of his considerable fortune, at least 2.5 million dollars, exposing the Zionist tyranny which has enveloped the United States. “Here in the United States, the Zionists and their co-religionists have complete control of our government. For many reasons, too many and too complex to go into here at this time, the Zionists and their co-religionists rule these United States as though they were the absolute monarchs of this country. Now you may say that is a very broad statement, but let me show you what happened while we were all asleep. England, in the summer of 1916 was considering that — seriously. They had no choice. It was either accepting this negotiated peace that Germany was magnanimously offering them, or going on with the war and being totally defeated. While that was going on, the Zionists in Germany, who represented the Zionists from Eastern Europe, went to the British War Cabinet and — I am going to be brief because it’s a long story, but I have all the documents to prove any statement that I make — they said: “Look here. You can yet win this war. You don’t have to give up. You don’t have to accept the negotiated peace offered to you now by Germany. You can win this war if the United States will come in as your ally.” The United States was not in the war at that time. We were fresh; we were young; we were rich; we were powerful. They told England: “We will guarantee to bring the United States into the war as your ally, to fight with you on your side, if you will promise us Palestine after you win the war.” In other words, they made this deal: “We will get the United States into this war as your ally. The price you must pay is Palestine after you have won the war and defeated Germany, Austria-Hungary, and Turkey.” Now England had as much right to promise Palestine to anybody, as the United States would have to promise Japan to Ireland for any reason whatsoever. It’s absolutely absurd that Great Britain, that never had any connection or any interest or any right in what is known as Palestine should offer it as coin of the realm to pay the Zionists for bringing the United States into the war. However, they did make that promise, in October of 1916. And shortly after that — I don’t know how many here remember it — the United States, which was almost totally pro-German, entered the war as Britain’s ally. There was absolutely no reason for World War I to be our war. We were railroaded into — if I can be vulgar, we were suckered into — that war merely so that the Zionists of the world could obtain Palestine. That is something that the people of the United States have never been told. They never knew why we went into World War I. Now what happened? The Jews at that peace conference, when they were cutting up Germany and parceling out Europe to all these nations who claimed a right to a certain part of European territory, said, “How about Palestine for us?” And they produced, for the first time to the knowledge of the Germans, this Balfour Declaration. So the Germans, for the first time realized, “Oh, so that was the game! That’s why the United States came into the war.” The Germans for the first time realized that they were defeated, they suffered the terrific reparations that were slapped onto them, because the Zionists wanted Palestine and were determined to get it at any cost. And at that time, mind you, there were 80 to 90 million Germans, and there were only 460,000 Jews. About one half of one per cent of the population of Germany were Jews. And yet they controlled all the press, and they controlled most of the economy because they had come in with cheap money when the mark was devalued and bought up practically everything. The Jews of the world declared a boycott against Germany, and it was so effective that you couldn’t find one thing in any store anywhere in the world with the words “Made in Germany” on it. In fact, an executive of the Woolworth Company told me that they had to dump millions of dollars worth of crockery and dishes into the river; that their stores were boycotted if anyone came in and found a dish marked “made in Germany,” they were picketed with signs saying “Hitler,” “murderer,” and so forth, something like these sit-ins that are taking place in the South. The eastern European Jews, who form 92 per cent of the world’s population of those people who call themselves “Jews”, were originally Khazars. They were a warlike tribe who lived deep in the heart of Asia. And they were so warlike that even the Asiatics drove them out of Asia into eastern Europe. They set up a large Khazar kingdom of 800,000 square miles. At the time, Russia did not exist, nor did many other European countries. The Khazar kingdom was the biggest country in all Europe — so big and so powerful that when the other monarchs wanted to go to war, the Khazars would lend them 40,000 soldiers. That’s how big and powerful they were. But they are pagan Khazars who were converted just the same as the Irish were converted. It is as ridiculous to call them “people of the Holy Land,” as it would be to call the 54 million Chinese Moslems “Arabs.” Mohammed only died in 620 A.D., and since then 54 million Chinese have accepted Islam as their religious belief. Now imagine, in China, 2,000 miles away from Arabia, from Mecca and Mohammed’s birthplace. Imagine if the 54 million Chinese decided to call themselves “Arabs.” You would say they were lunatics. Anyone who believes that those 54 million Chinese are Arabs must be crazy. All they did was adopt as a religious faith a belief that had its origin in Mecca, in Arabia. The same as the Irish. When the Irish became Christians, nobody dumped them in the ocean and imported to the Holy Land a new crop of inhabitants. They hadn’t become a different people. They were the same people, but they had accepted Christianity as a religious faith. These Khazars, these pagans, these Asiatics, these Turko-Finns, were a Mongoloid race who were forced out of Asia into eastern Europe. Because their king took the Talmudic faith, they had no choice in the matter. Just the same as in Spain: If the king was Catholic, everybody had to be a Catholic. If not, you had to get out of Spain. So the Khazars became what we call today “Jews”. Now imagine how silly it was for the great Christian countries of the world to say, “We’re going to use our power and prestige to repatriate God’s Chosen People to their ancestral homeland, their Promised Land.” Could there be a bigger lie than that? Because they control the newspapers, the magazines, the radio, the television, the book publishing business, and because they have the ministers in the pulpit and the politicians on the soapboxes talking the same language, it is not too surprising that you believe that lie. You’d believe black is white if you heard it often enough. You wouldn’t call black black anymore — you’d start to call black white. And nobody could blame you. That is one of the great lies of history. It is the foundation of all the misery that has befallen the world. WW II affected hundreds of millions of people and it affected millions of Europeans and Asians born after the war too. If not for the war, myself and millions of other people would be citizens of a different country today. Millions of people were driven off their historic homelands, lands they had lived on for centuries and borders were shifted to the victors advantage. The world was changed forever. Europe had led the world for centuries and it laid in ruin. Entire countries were completely destroyed with their cities left unrecognizable. The British Empire was left bankrupt and broke up, the French Empire lost its colonies after the war and Germany lost a huge amount of land again, added to the losses of WW I Germany was now two thirds its former size. At least fourteen million Germans were driven off their historic lands in the biggest ethnic cleansing operation and mass movement of people in history. Europe lost its leadership position in science, technology and culture. Until 1945 and a few years after, Germany had dominated the Nobel Prizes with far more than any other country, and Great Britain and France were at the top in science too. All of Europe was educated and competitive. With the almost complete destruction of Europe, the United States and the Soviet Union took over leadership of the world and leadership in science and technology. Those two countries competed to explore space, with the USA landing on the Moon in 1969 and the USA took over leadership in the sciences too. In 1948 Israel was created. The Zionists and Jews in general played a central role in WW II. Many were victims and many Europeans were their victims. Jews also played an important role in starting, or at least widening, and then winning the war. Jews were no less powerful after the war than before it and Israel was created in 1948. 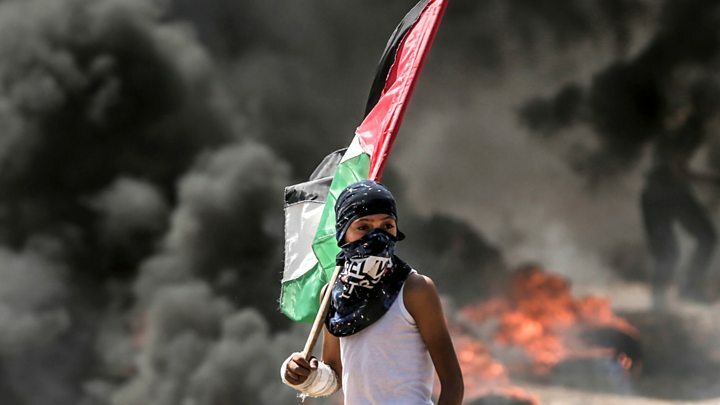 Palestinians were pushed off their land and the fighting goes on until today. For most of the last seventy years since the end of the war we were told that Jews were the main victims of WW II with a countless number of books, movies and documentaries made about the “holocaust.” Hardly any other country or ethnic group’s suffering was ever mentioned. Today Israel is a superpower with one of the largest nuclear arsenals in the world and with Zionism’s enormous influence over virtually every western country, Israel threatens its neighbors regularly and western countries (in particular the USA) make war on their behalf. In order to better understand what is going on in the world today we have to understand WW II, the war that put the people that rule the world today into power. Most of the world does not understand how we got where we are today because the history of WW II has been deliberately distorted. In order to ensure these false notions of what the war was about and who the bad guys were and who the good guys were (the victors of course), laws have been put into place that guarantee that anyone that questions or produces evidence against the “holocaust” or other mainstream claims is in violation of the law and is subject to jail. More than a few important historians and scientists have been thrown into jail in Europe and very few people in academia or outside of academia complain about this and at the same time these self satisfied people talk about the importance of “freedom of speech” and its important role in a democracy. While Churchill and FDR are presented as Saints and even Stalin was proclaimed to be a great man, Germany’s leader and the Germans themselves have been presented as the devil incarnate. We have been told over and over for the last seventy years many different things about Hitler, all bad and many ridiculous. Many books and claims have been made about the man and many contradict each other, but as long as they portray Hitler as evil they get a good reception by the media. We’re told he was a lowly corporal, a house painter, a homosexual and at the same time a murderer of homosexuals. Then contradicting the house painter claim, they say he was a failed art student, he was so evil that he was incapable of painting a human figure with the proper dimensions. In truth Hitler was an aspiring art student that was competent, but not good enough to get into the art school in Vienna. He was not a coward as we are often told, but a war hero winning the Iron Cross first and second class, he was gassed at the end of the war and suffered the terrible pain that went with that. He was a heterosexual that had sexual relations and married the love of his life before they both committed suicide to avoid being tortured and murdered by the victorious allies. He presided over the most remarkable economic recovery of the 1930’s and he was a remarkable military leader. For putting millions of Germans back to work, ending the misery imposed on Germany by its enemies and restoring Germany’s pride his people supported him to the bitter end. No matter the military setbacks or the mass murder of Germany’s civilians by enemy bombers he had the full support of all of Germany and Germany fought virtually the whole world until the bitter end. This documentary attempts to educate the viewer about the facts regarding Hitler, the war, the holocaust and many other things. The film comes in 26 segments, each about fifteen minutes in length. I also recommend reading this interview with the film maker Dennis Wise. There is way more information than what is posted here. This is just meant as a start. There are also many resources within the videos to check out. – Without Conscience by Robert D. Hare, Ph.D.
A little personal note to end with. The last two weeks have been quite challenging and draining for me. Watching helplessly how the people in Gaza are being slaughtered while the world watches has been very hard. Doing the best I can to speak out about it on facebook, I’ve received ad hominem attacks, publicly and in messages and emails, even a law suit threat by a popular “spiritual teacher”. On a positive note I’ve never seen so many people protest and speak out against the crimes of Israel. I’ve made many new friends, in particular Arab and Jewish friends, fighting for the same cause: truth, justice and love. This is inspiring and does give me hope. Writing this blog has been very challenging and vulnerable for me on a personal level, going back into history. Many atrocities were committed during WW I and WW II from all nations. Millions of people have died from all ethnicities, not just Jews. The Allies, the so-called “saviors of the world from evil” have committed horrendous war crimes which have been edited out from our official history books. On a personal level a lot of unconscious guilt and shame came up for me, taking in all this information. I didn’t expect that to happen. I was forced to re-visit my childhood and my parent’s history, who were born during WW II and grew up under impossible circumstances. My Mom is from Poland, half German, half Polish. My Dad from East Germany. He and his family tried to escape Eastern Germany in the 60’s, jumping off a ferry in the Mediterranean Sea, trying to swim to the western part. They got caught and imprisoned in East Germany. The universe sent them an angel and a German lawyer helped them to migrate to West Germany. My Dad and Mom met in a refugee house in West Germany, starting a new life with literally nothing. To this day my Dad can’t fully remember what happened. He has dissociated much of the past. When trying to talk about it, anxiety comes up and he gets headaches. My mom and I encouraged him to write his memoirs but he simply can’t go there. He was born right around when WW II started. I have gone through a very guilt-ridden education in Germany with a mandatory visit at the concentration camp in Dachau as a 16-year old, not having any clue, being told how evil and bad we were in WW II. I don’t believe in nationalism and don’t identify myself with any country, but there was certainly some ancestral trauma and guilt that came up recently, remembering all the Nazi jokes about Germans I was subjected to when moving to the US (and still am), all the films where Germans mostly play the bad guys in Hollywood movies, all the propaganda and lies I’ve believed in and taken on, the shaming and guilt projected on the German people. Realizing now the truth of what actually happened, things that I was never told in high school, brought me to tears and I wept a lot. It was very difficult for me to learn about all this and didn’t expect to be so effected by it. At first I even rejected it, dealing with cognitive dissonance, even being afraid to believe that and talk or write about it. But I feel doing what I do helps not only to heal myself but to heal my Dad and my ancestors as well, and everyone else, for the past is connected to all of us and we are all connected. I feel like I’m going through a purging. Especially now I expect more attacks, as a “German” questioning official history. But my essence is not “German”. I’m just a human being and share many of the same fears as you all do. I have my issues and short-comings. Some people tell me how “courageous” and “brave” I am for speaking out like that. I really don’t feel like that at all. I just act on my conscience and feel I have no other choice but to speak out. I don’t think I’m special or better than anyone else. The world is an intense place to be, so much beauty and so much horror at the same time. Blind and ignorant people who are vey conditioned with official culture/history can do a lot of harm. Doing what I do is certainly not helping me make money or be popular and “liked”, but money and popularity have never been my driving forces. I’m just trying to make sense of what is going on the world and act on my conscience, becoming a better person in the process. By no means do I hate Jews, never did, or any other ethnic group. By no means would I imply that Hitler was just a “misunderstood good guy”. Obviously he has blood on his hand and was a power-driven nationalist, like many others, however his story and the story of the German people during that period and much about WW II has been grossly distorted. That’s a fact for anyone to see who does some sincere research and it will also become clear how it relates to current conflicts in our world. I just want a better world for all of us and all I’m interested is in truth, as it is. There is still so much we don’t know. Nationalism, religious fundamentalism, greed and desire for power are diseases in themselves if left unchecked. However, our true history has been suppressed and grossly distorted in purpose. History is written by the victors after all. It’s about truth and truth should not fear investigation. It is also clear to anyone who investigates history how all of this relates to the current conflict between Israel and Palestine and our world at large. Many people say it is a very complicated situation. It is indeed a complicated situation and stating that should encourage anyone to learn about it all for then it becomes clearer. The truth about history does matter, so we can truly learn from it and create a better world for all of us. In the end I know this is part of the process. The Matrix and the people plugged into it will attack anyone who dares to step out of the herd. The people in Gaza and many others in the world suffer way more than me and most of us. We should be grateful to live such privileged lives and never take anything for granted. Thank you all for the great support and encouraging messages. They outweigh all the attacks I have received by far. I can’t believe I’m the first to comment on here. Thank you Bernhard for all you’re doing. This path is certainly not for the faint hearted but it is reassuring to know that there are fellow pilgrims on the road to Truth. You have helped me and my friend very much, giving us some much needed direction after we identified the hypocrisies of our world. I love your work and hope to see more of it in future. Refreshing to see someone not afraid to tell the truth despite all the political correctness in the world today that most sheeple do not question. You are an amazing man. All that you speak resonates with me to the core of my being. It brings me some peace to know I am not alone in this world, my beliefs, and higher wisdom. First of all, i Love You brother. I used to define myself as a Muslim Mediterranean African Arab (Morrocco), i was deep into religious brainwashing. 3 years ago my soul woke me up to a new reality. Since then your work helped me a lot. I’m now, a spiritual being having a physical experience. What about the link between the Hyperdimentionnal matrix and Zionism.